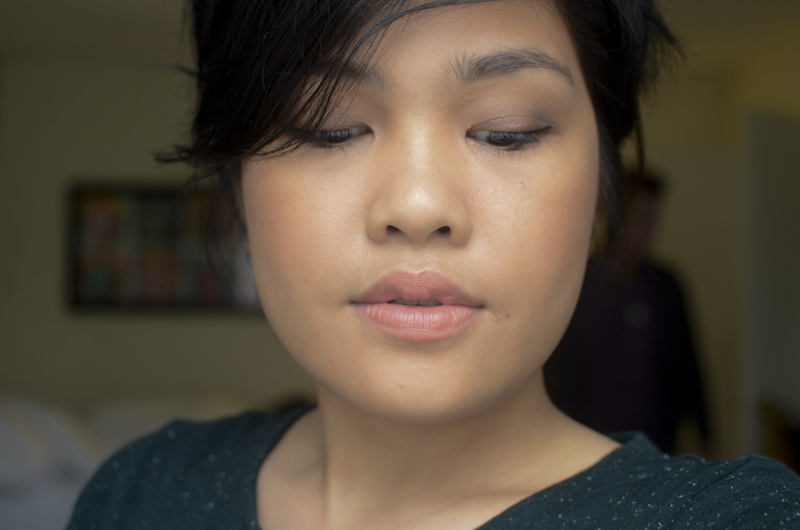 Yeah, yeah, another base product… I really didn’t mean to buy, but ended up trying and liking the MAKE Colour Soft Focus Foundation (I was matched to Cool #4) and impulsively buying it BUT! It turned out to be for the best and I shall tell you why. In an attempt to be supah efficient at makeup-packing, I ended up panicking and overstuffing my makeup bag with makeup. All of which I’ve used and loved having around, mind you, but still—unnecessary. I brought a mineral powder foundation, underestimating just how DRY THE AIR IS IN THE EAST COAST. 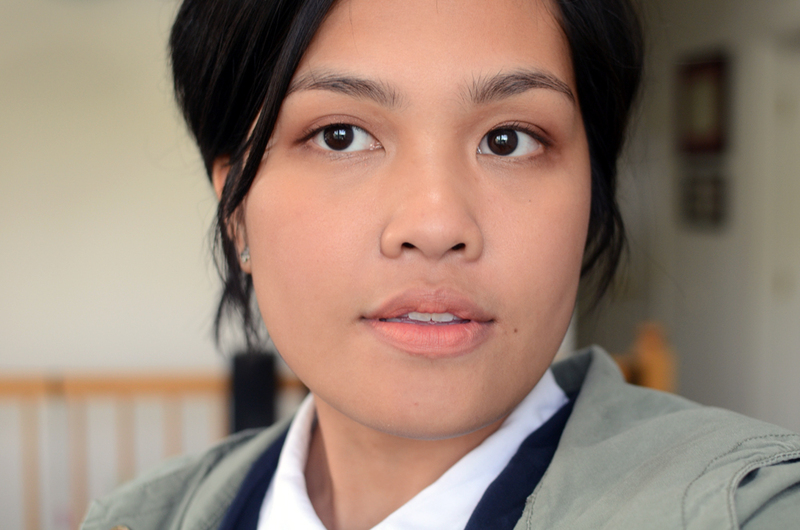 Man alive, I had so much trouble with my skin for about two weeks… I ended up slathering my face with several moisturizers and oils, and towards the end of the second week of skin hell, I wore this foundation and found that it super suited my situation. Delivering flawless coverage and a velvety finish, our Soft Focus Foundation helps to correct uneven skin tones and smooth fine lines through revolutionary, light-diffusing micro-spheres. Lightweight polymers allow skin to breathe, while natural bark extract helps control shine. Ginseng, green tea extract and squalane help to provide anti-oxidant protection and hydration. Like I said, I was matched to Cool #4, which is made “for light to medium complexions with pink undertones.” I think… I was not matched properly. I don’t think I’m warm-toned (I’m actually leaning towards “olive,” like Rae), and the Sales Assistant at MAKE matched me to Cool #4. It doesn’t look bad, but it doesn’t match my neck… but on that note, do I want foundation to match my neck? 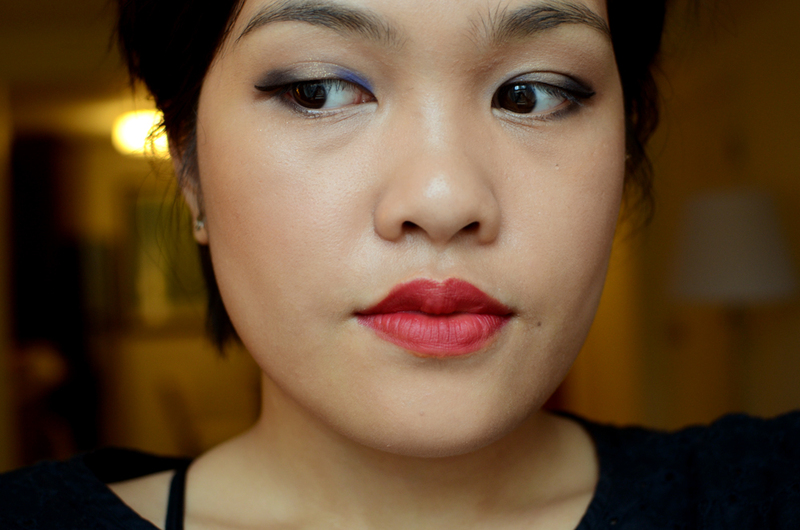 Because when I pick a shade that’s closer to the non-face areas of my skin, it looks really bad and unnatural. By which I mean, I like how Cool #4 looks on my actual face, but I am also not sure if it’s the right shade for me. ANYWAY. The moral of the story is that department stores really need better lighting. 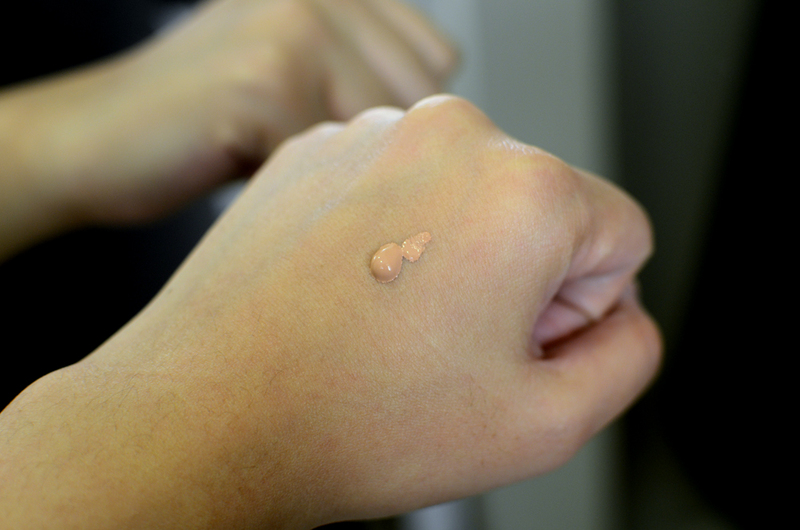 The texture of this foundation is definitely lightweight, with an actual soft-focus finish. It is shimmer-free and very easy to blend; easier even than my favorite NARS Sheer Glow, which I didn’t bring because it’s stored in glass. The coverage is a little bit sheerer than NARS Sheer Glow’s medium coverage, but it is more pigmented than tinted moisturizer, for sure. This is just really an effortless foundation. The lasting power is also great, without a primer, but of course—again—I am currently in a sweat-free, not-so-humid place, so this is definitely not my final review on this. I just wanted to show you how good it looks on my skin. 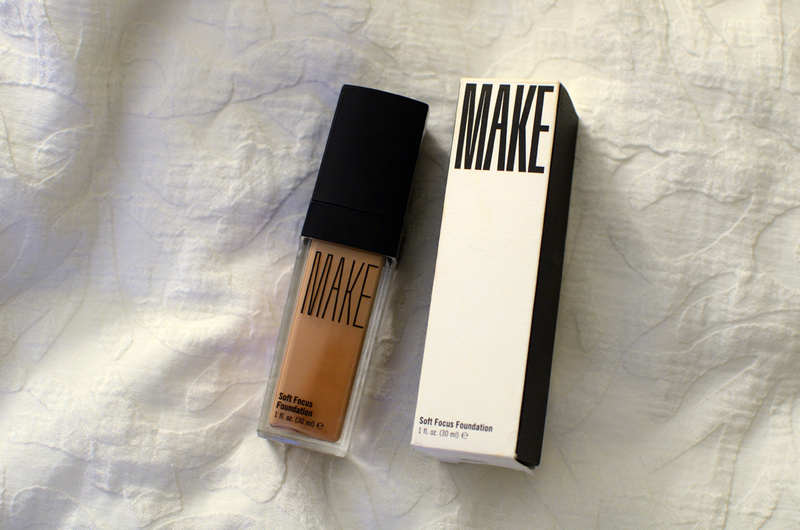 Overall, I am loving this foundation from MAKE. 🙂 Definitely worth the splurge… PHEW! wow that finish is gorgeous! glad the impulsive buy worked out for the best. Sames! Esp. since it was more expensive than I was prepared to buy, lol. I think the whole warm-cool thing is totally useless with foundation. I’d rather they focused on actual shade of skin instead, like beige, pink, red, olive, gray, etc. But I suppose they’d have to carry way too many color variations then. In any case, it looks lovely on you even if it’s not a perfect match! Yeah, I find it really subjective/hard to pinpoint unless it’s REALLY OBVIOUSLY pink or yellow. I find that I’m usually a match with “beige” shades haha. Wow, your skin looks super flawless! Soft-focus is spot on. The shade seems perfect on you! But seriously, I don’t see the mismatch. It looks pink in the second shot, and yellow in the first and second, but there’s no unevenness between the cheek and neck. Thank you!! I think it's more obvious IRL but I might just be nitpicking. I can definitely see how pink it looks on the back of your hand, but I can’t see the difference between your face and neck. Maybe it’s sheer enough to blend in. But it really looks great. I wonder how it would work once you’re here. Yay, that’s a relief! 🙂 Thank youuu. I wore it in LA (similar weather, though not as humid) and it was fine! I hope I just need to set it when I go back to Manila. Duuuuude! That foundation does look lovely on you! Makes me want to check out their site again (something I’ve been avoiding doing bec of shipping hassles hehe)!